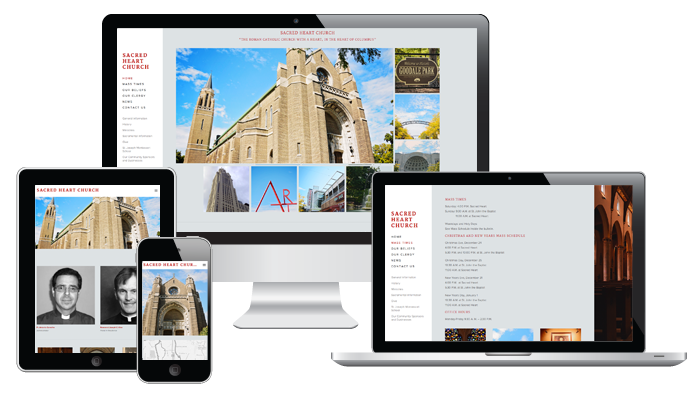 The Sacred Heart Church of Columbus approached 529 Mobile in order to bring them a web presence. They are located in the heart of Columbus and welcome the spirit for their Italian Village and greater Columbus community. Sacred Heart is pleased to have a web presence in order to reach more parishioners.